Turn Back Time Rehearsal video! Last minute call for the first time to witness AUGUST LIFE play live! 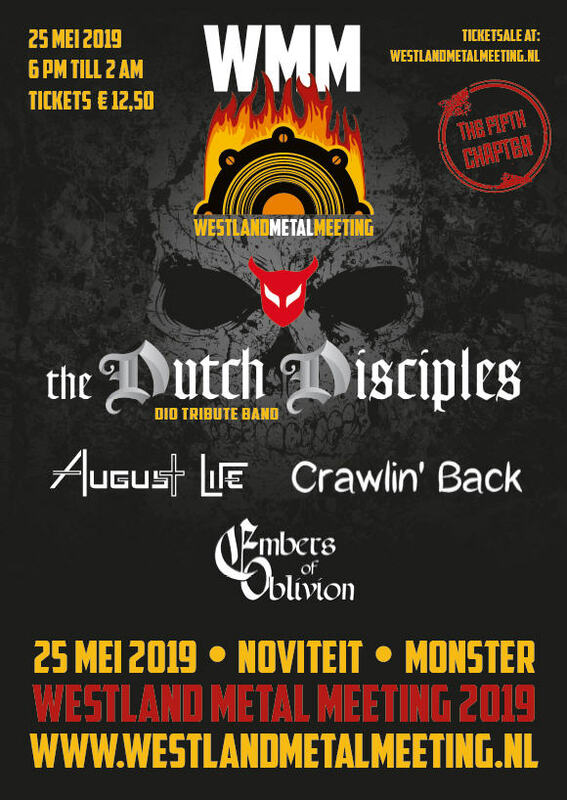 THE DUTCH DISCIPLES on the 25th of May at WMM 2019. Available for pre order in Black and Ocean Blue vinyl early March 2019 at No Dust Records! Man has it been a year that 2018! Many ups and downs! On a personal level but also professionally it has been a rollercoaster. Despite many draw backs I finally saw my new album released where I have been working on intensely for some time with singer Bryan Ketelaars and producer Jack Nobelen. In a nutshell: AUGUST LIFE's album NEW ETERNITY, the brand new Dutch progressive melodic metal project initiated by Gert and Bryan, saw the light of day late August this year. The reactions of fans and press for this brand new outfit were overwhelming. 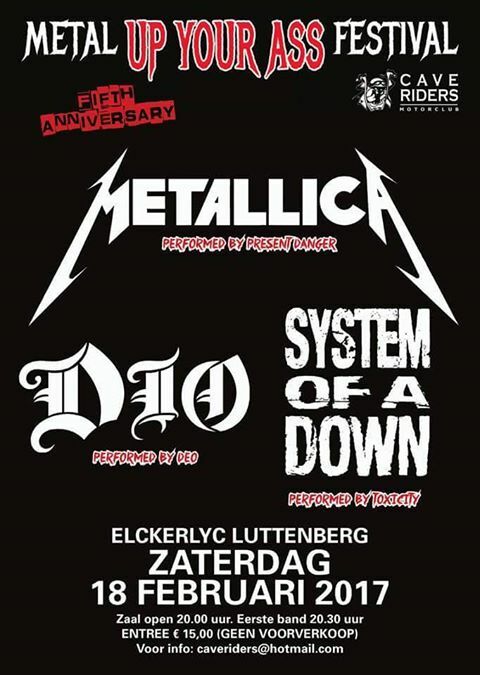 A bunch of great guest musicians and singers participated on NEW ETERNITY like for instance Peter Vink (Ayreon, KnightArea), Rob van der Loo (Epica, Mayan), Madicken de Vries (Heidevolk, Annatar). The list goes on. The CD was released worldwide and can also be found on every digital platform (Itunes, Spotify etc.) An LP version is expected to be released in the near future! But enough about the album. 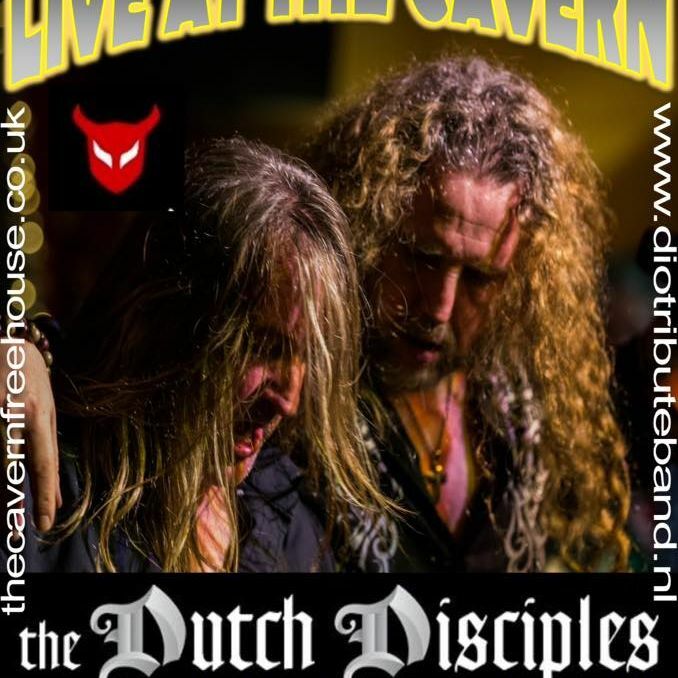 Let me take this opportunity to especially welcome to the live band, being the one not to have played on the album, brilliant bass player: Ronald Pieterse (Lockdown, Divine Rebellion, Disquiet). Finally I would like to take this opportunity to thank all of you who proved to be a real friend in 2018. I am so much looking forward to see you all next year on and off stage with AUGUST LIFE, HIGHWAY CHILE and The Dutch Disciples. Keep rocking the free world and have a great 2019! Gert's first interview about NEW ETERNITY, AUGUST LIFE's debut album done by Hans van Peppen for HeadBangers LifeStyle magazine. 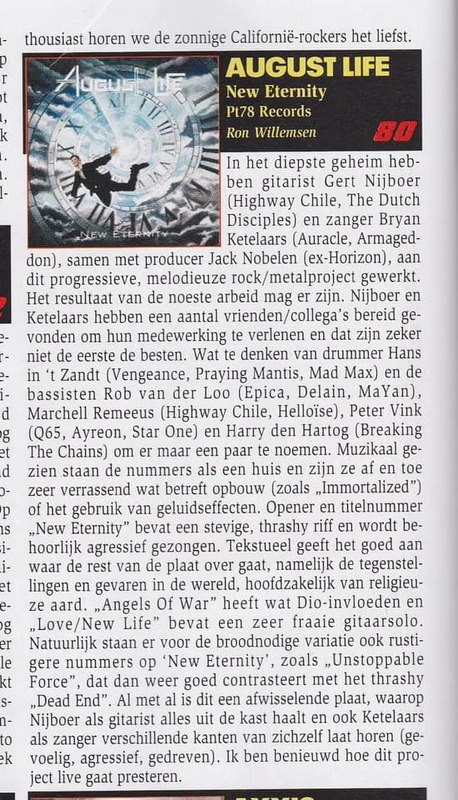 Very nice review about NEW ETERNITY, AUGUST LIFE's debut album at Rockportaal by Hans Ravensbergen. 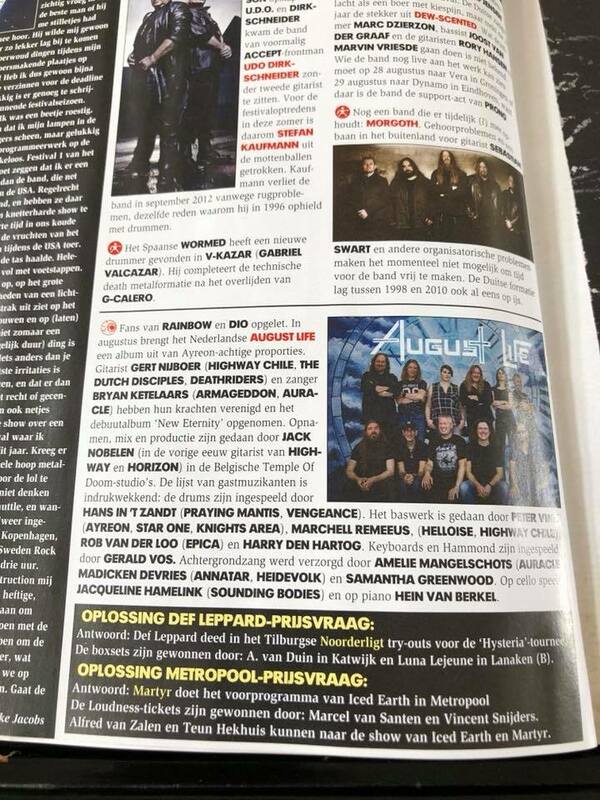 Nice review about NEW ETERNITY, AUGUST LIFE's debut album at leading Dutch Hard Rock Metal magazine Aardschok by Ron Willemsen. 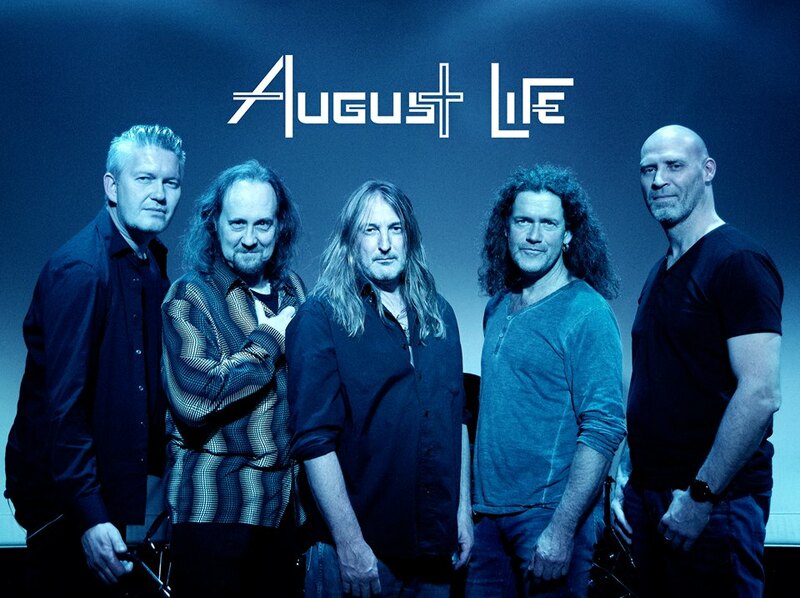 AUGUST LIFE debut album mixing and mastering is finished! 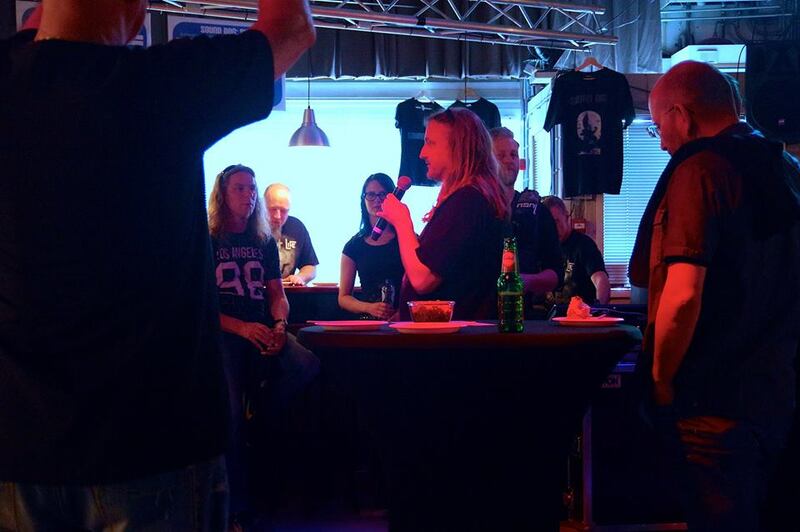 Last sunday the 22nd of April we had a first listening session with all musicians involved together with all other great people helping us during the whole process so far in SOUND DOG Breda. The reactions were so overwelming! Both Bryan and Gert are beyond grateful to everyone present! We can't wait to make the next step and release the album so we can let you all be able to be part of this new legacy onwards! Eventhough, if you really look close enough, some peak views are already there ☺ ALBUM TITLE and ARTWORK will be revealed SOON! Watch the AGENDA for updates! 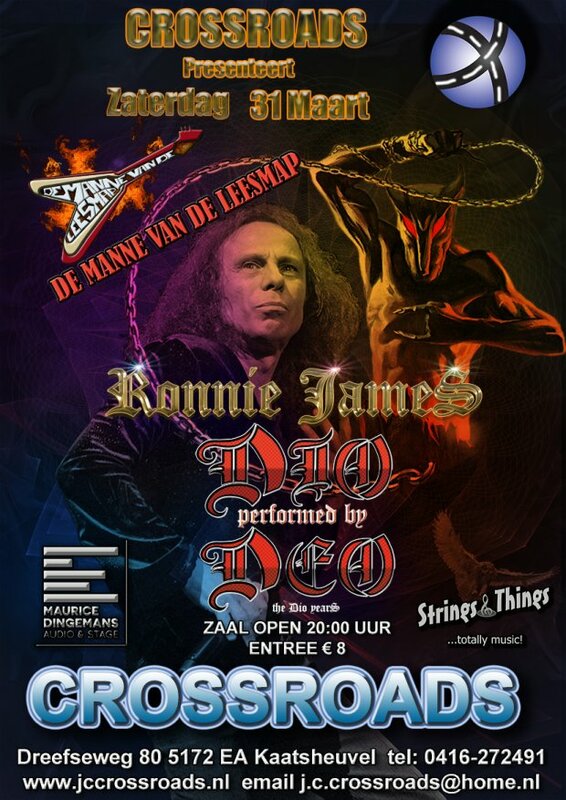 I have done my last show with DEO last Saturday at Crossroads (Kaatsheuvel). After so many great years it was a very difficult decision but sometimes decisions need to be taken considering changing circumstances. Late 2017 I told the guys I made the decision to leave the band after all forthcoming gigs were done. I wish to emphasize that there are no hard feelings or personal issues involved whatsoever. I want to thanks everyone in the band for the great times we had together and as far as I am concerned we will meet again soon! Pictures of my final DEO show can be found in the PICTURES section. AUGUST LIFE studio report: Mixing has started atJack's Place Studio in Meerle (B). AUGUST LIFE studio report: Gerald Vos laying down some cool Key and Hammond parts at the very cozy yet highly professional Jack's Place Studio in Meerle (B). A fourth time at CrossRoads Kaatsheuvel! AUGUST LIFE studio report: Bryan Ketelaars and Marchell Remeeus mix down! AUGUST LIFE studio report: Hein van Berkel plays a wonderful piano version of the song Nevermore! 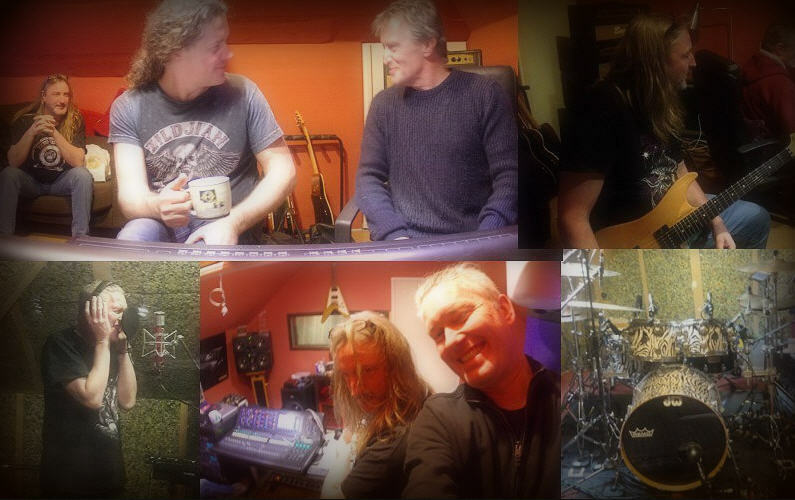 AUGUST LIFE studio report: Peter Vink laying down bass tracks! AUGUST LIFE studio report: Harry den Hartog laying down bass tracks! Summer holidays first and then we will continue to work on our debut album. Lot's of work has been done already, lot's of work still to be done. Cover artwork is in progress and promises to be brilliant, covering the topics of the concept. All further recordings, continuation of vocals, lead guitars and additional instruments, are planned to be finished no later than the first half of September. Then mixing and mastering the final product. No final release date is set yet as we are opting the best way to release the album right now. We will finally reveal the name of the project on the 31st of July! So... Can anyone guess the name of the 4th and last bass player on the album? Amélie Mangelschots and Madicken de Vries (Annatar). And... we will also make use of Piano and Chello. More details on that soon! Drums have now been fully recorded by none other than Hans in 't Zandt (Praying Mantis, ex- Vengeance). Almost all bass tracks are recorded. In total we will have no less than 4 bass players on the album. So far we can name three: None other than Bass veteran Peter Vink (Q65, Finch, The Boxx, Ayreon, Knight Area), Marchell Remeeus (Helloïse) and last but not least bass virtuoso Harry Den Hartog will be part of this great album. 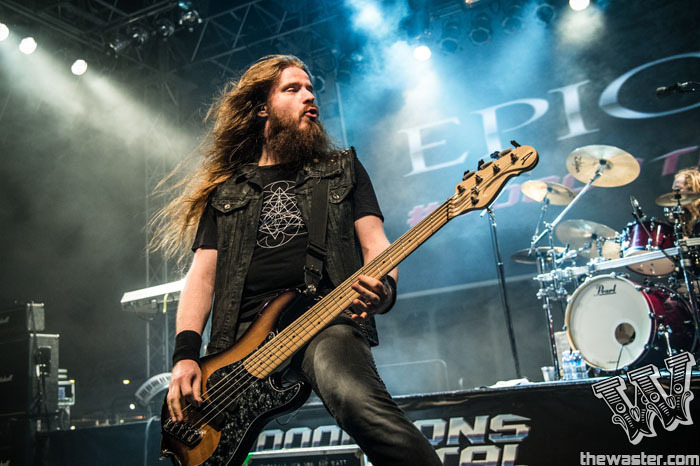 The name of the fourth bass player is to be revealed soon! As we speak Bryan is recording his vocals and Gert is laying down his Rhythm guitars tracks. Solo guitar and addition instruments as well as additional guest/backing vocals are planned to be recorded this summer onward. we will reveal the name of the project... REAL SOON! 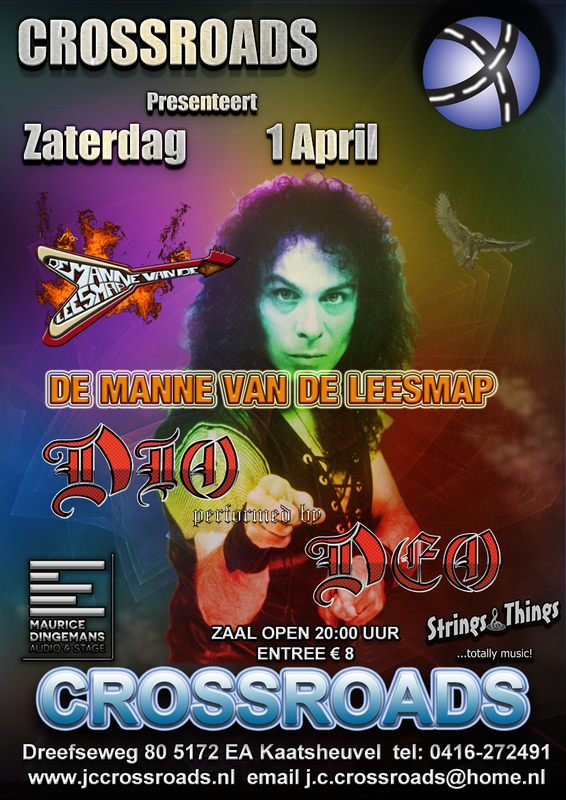 DEO will play for a third time in a row on the 1st of April at CrossRoads! DEATHRIDERS live footage in the pouring rain taken from Metal Magic Festival Denmark 2016! 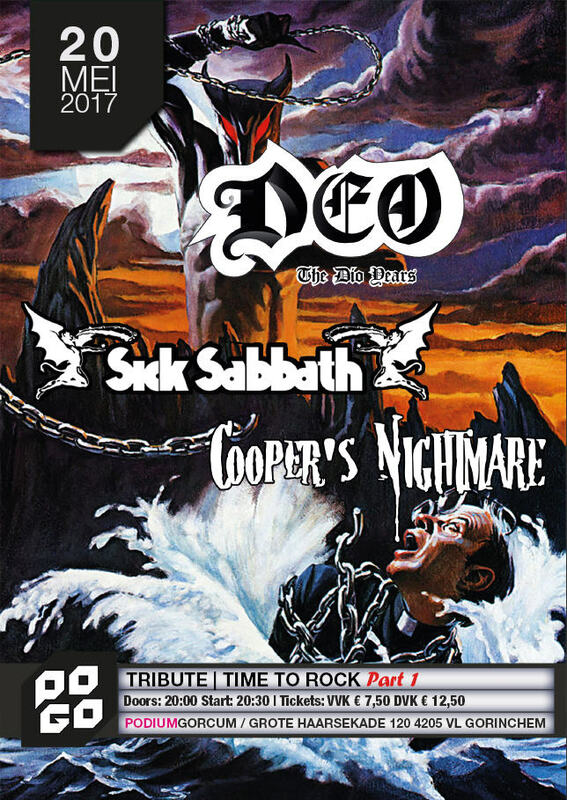 DEO live footage taken from Occultfest 2016! CHECK HERE FOR PREVIOUS NEWS!